Because of the massive quantities of fentanyl officers are seizing, state and local testing labs face big backlogs. Seizures of fentanyl by the state agency that handles these drugs – the Ohio High Intensity Drug Trafficking Area – have jumped from zero in 2009 to more than 83 kilograms in 2017. That’s why I joined Senator Portman and a bipartisan group of our colleagues to reintroduce the POWER Act. Our legislation builds on my INTERDICT Act, which has been signed into law by President Trump, and is getting new, portable, hand-held screening devices to Customs and Border Protection agents to detect fentanyl at the U.S. border and stop it before it reaches Ohio streets. The POWER Act will give local and state law enforcement the same access to the same high-tech tools, so they can safely and effectively test dangerous drugs in their own towns. These devices will also increase officer safety in the field. By knowing instantly what drugs they are encountering, and by cutting down on the number of times officers have to put themselves in harm's way when arresting drug traffickers. Right now, suspected traffickers are often released back into the community while the drugs are sent off to a lab for testing. When the results come back, the officer then has to go back out to make the arrest – putting themselves in danger. With these devices, law enforcement can bring appropriate charges after the initial encounter and not have to put themselves in harm's way a second time. Senator Portman and I have a long history of working together to deliver results for Ohioans working to end the opioid crisis, and we’re going to keep working on this, to get Ohio law enforcement officers the tools they need. 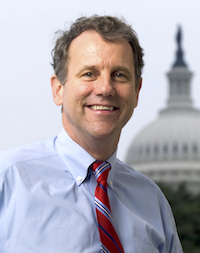 Find more information about U.S. Sen. Sherrod Brown, D-Ohio, at www.brown.senate.gov.